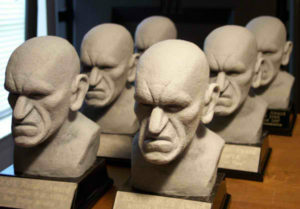 The Rondo Awards are a fan-voted awards sponsored by the good people over at the Classic Horror Film Board. Each year they honor “significant achievement in the genre during the year.” Think of them as the horror film equivalent of the People’s Choice Awards. And this year, there are two BlobFest related nominations. You can vote for BlobFest and the rest of the Rondo nominees here, but hurry, the voting deadline is March 27. This entry was posted on Wednesday, February 23rd, 2011 at 3:46 am	and is filed under News. You can follow any responses to this entry through the RSS 2.0 feed. You can leave a response, or trackback from your own site. Maxblog | Design: NET-TEC Artikelverzeichnisse of Datenrettung Freeware. Coding: Infrarotkabine of Rasenmäher Wolf.